We think most people would agree that volunteering is a great thing. Volunteering gives you an opportunity to change people's lives, including your own. It gives you the satisfaction of playing a role in someone else's life, helping people who may not be able to help themselves. 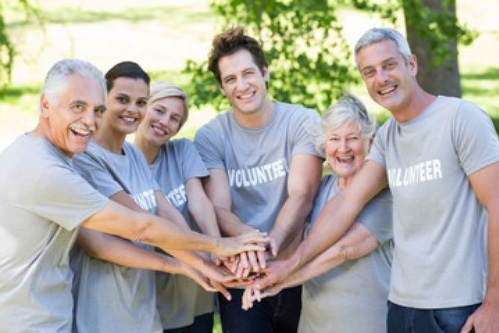 Volunteering is a way of giving back to your community while developing important social skills and gaining valuable work experience all at the same time. Without volunteers, Senior Services of Will County would simply not be able to do all the things we do without their support. Volunteering is important for the people that take part in it. Getting involved in volunteering offers different things to different people. For some, this is the opportunity to learn new skills, build confidence and move closer to the job market, for others it’s a route to improved health and well-being, and for many it is the simple pleasure and satisfaction gained from helping others or simply “giving something back”. We hope that all people will want to be involved. Please join us in helping others! Senior Services of Will County’s mission is to enhance the quality of life for older persons, help maintain their independence, avoid or lessen isolation and loneliness, and maintain wellness. Expand services and programs om an effort to ready ourselves for the rapidly growing population of older adults. To find out how you can get involved as a volunteer, click on each section below to discover the right opportunity for you or click here to download a volunteer application. After filling out an application, you will attend an interview to figure out the best suitable placement. Upon placement you will go through an orientation session and program training. 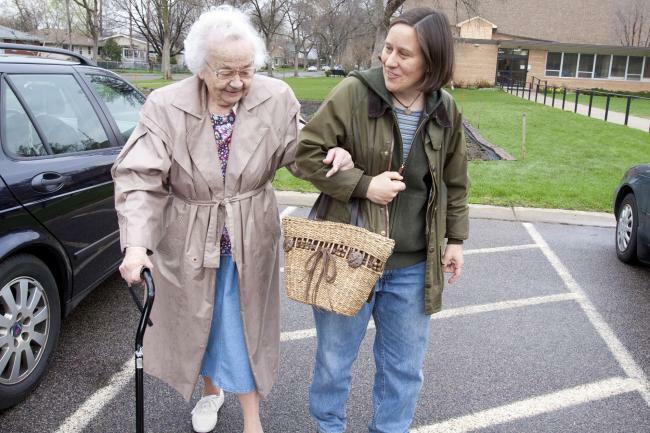 Transportation is a growing issue among seniors in Will County. There is an increasing gap between accessible transportation and affordability. As more adults age than ever before, the infrastructure to support the growing need has to expand. Help Senior Services be part of the solution. Become a Volunteer Driver! Check out all the transportation options provided by Senior Services HERE. Do you like talking to people on the phone? We need volunteers to come in on a weekly basis to make phone calls to our volunteers to get their hours that have not been reported. This would be a weekly time commitment for an hour or two. Are you a handyman looking to help others? The ideal volunteer in this role will have a background and/or knowledge in general construction. Our Safe at Home Technicians, help assist our team with minor home repairs to keep seniors living independently in their homes.This is an as needed position and hours will very. Help free up some staff time by performing some of the clerical work that comes with managing a large workload. Volunteers interested in this position need to have good attention to detail and have basic computer skills. This would be a regular volunteer assignment for a few hours a week. Help us spread the word of all the amazing opportunities Senior Services of Will County has to offer. We are looking for volunteers comfortable in front of crowds to explain who we are, our programs, and how to get involved. Training will be provided to anyone interested. Are you a retired graphic designer or artist? Do you have computer skills? We are in need of volunteers to help us brand events and programs we put on in the community. This is a flexible opportunity that you can do from home. Most of our fliers are created in publisher so they can be edited by all staff. Help draw people to our events! We have activities going on everyday of the week at Senior Services. From yoga to line dancing, we need volunteers to help set up rooms and check people in. This role is essential to help things run smoothly. The position is ongoing. Looking for one off volunteer opportunities? Come be a Special Events Volunteer! Volunteer positions range from greeting people, to serving meals, taking pictures, setting up and much more. It takes an army to put on a successful event. Come join us! AARP Foundation Tax-Aide is looking to expand its team of volunteers for the upcoming tax season. Tax-Aide, now in its 50th year, offers free in-person preparation and assistance to anyone, especially those 50 and older, who can’t afford a tax preparation service. 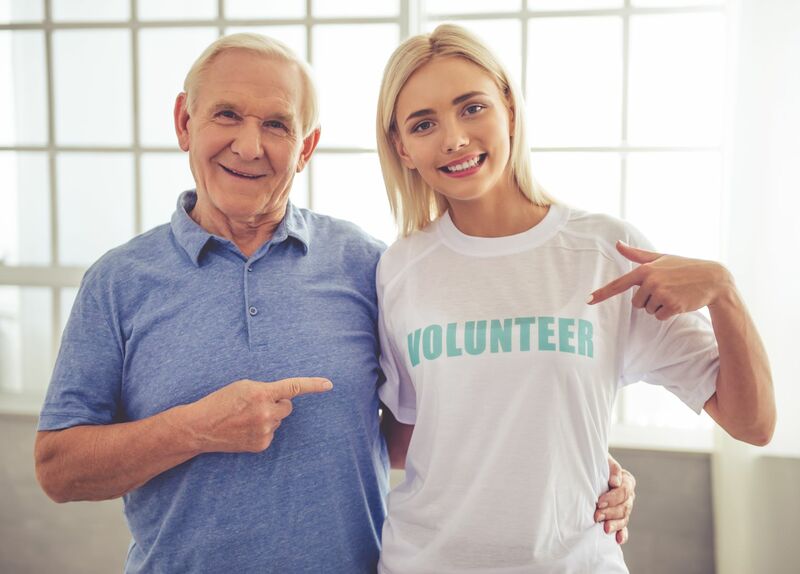 Volunteers make a difference in their communities by assisting many older, lower-income taxpayers, and their families, who might otherwise miss out on the tax credits and deductions they’ve earned. To learn about our volunteer opportunities, visit aarpfoundation.org/taxaide or call 1-888-OUR-AARP (1-888-687-2277). AARP Foundation Tax-Aide is offered in coordination with the IRS. If you have an interest or talent that you think others would share in, let us know! We'd love the opportunity to add more events and get more people involved. Instructors typically teach once a week on a set schedule.